← Rush Limbaugh – Why does the Left aid Islamic jihadis? 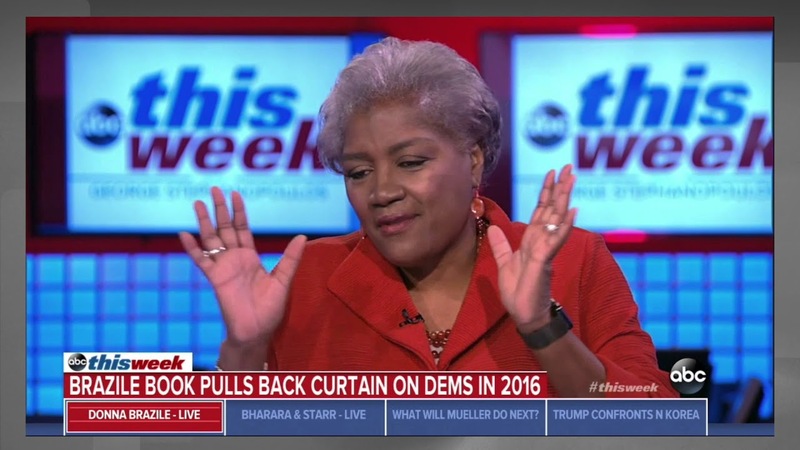 Former chairwoman of the DNC, Donna Brazile, spilled her guts in a tell all book about the goings on in the Democrat Party. She went on CNN to confirm that everything Rush Limbaugh and conservatives have been saying about the Democrat Party for the last thirty years is absolutely true! Brazile says she is now in fear of her life that she will be assassinated by Hillary like Seth Rich. The truth of her revelations is revealed by the venom of her fellow Democrats declaring her a traitor and bringing out the long knives. Hillary is now accusing Brazile of also colluding with the Russians to bring her down. Brazile confessed to Hillary taking over the Democrat Party and their finances, which may well constitute money laundering campaign funds. There are leftists who believe that the report of the Clinton’s body count in their quest for power was a fiction created by the Russians because they don’t know the Clinton’s history in their rise to the White House. Democrats, who have always advocated for Marxism, by using the Russians as their scapegoats are digging themselves into an ever deeper pit. We can only hope it eventually collapses in on them and the party of slavery and socialist fascism will bury itself alive. Democrat conspiracies confirmed proving Rush is always right! The Democrat Party has been completely exposed as the most corrupt, deceitful pack of fraudsters in America and that explains why they are falling apart. Their only hope is to demonize their enemies in the eyes of the ignorant. They have nothing to offer America except the lies they have always told. At the same time the Republican Party is in disarray as Trump battles the swamp of Washington corruption and the Republicans who work with Democrats. The NeverTrumpers, who claim to be conservatives, would rather have Hillary advancing the liberal agenda than Trump advancing the conservative agenda. Just as Democrats prove they are frauds the NeverTrumpers prove they are not truly conservatives, but deceitful infiltrators seeking to undermine Republicans. Half of Millenials say they want to live under Communism proving they are both ignorant and how deeply they have been misled by Democrat propaganda. They should be given the opportunity to go live for six months in Russia or China or North Korea or Cuba or Venezuela and see how much they like it! Perhaps then they would understand the greatness of the America they have been taught to hate. Perhaps if they saw the world as it truly is, instead of learning false liberal history so they reach erroneous conclusions, then they would learn to appreciate how blessed they have been to be born Americans. It has always been said, and it is ever so true, that if you don’t learn history, if you don’t know where came from, then you will not know where you are going and you will be lost. Young liberals would do well to pay heed to the exposé of Donna Brazile and listen to the wisdom of Rush Limbaugh rather than have their eyes, ears, and minds closed by Democrat character assassination propaganda. This entry was posted in Politics and tagged Democrat corruption, DNC, Donald Trump, Donna Brazile, Hillary Clinton. Bookmark the permalink. Pingback: Democratic National Committee head confirms Hillary-Obama conspiracy | Liberals Backwards Think – Shouting from the rooftop. . .